These trails meander up the mountain, layer upon layer of rock shelves, through an oak and hickory forest filled with natural reservoirs, wetlands, and rocky switchbacks creating a wonderland for hikers and bikers alike. 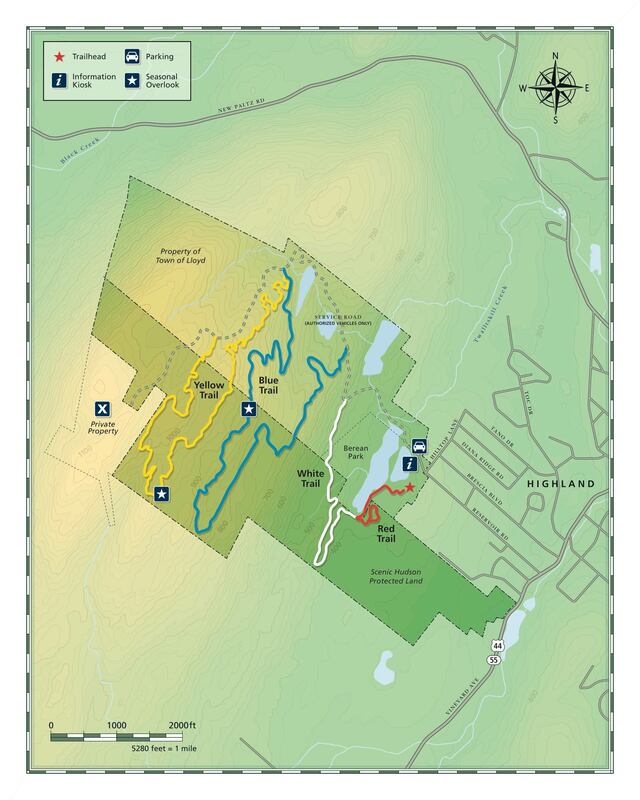 LLOYD, Ulster County (280 acres)—The Illinois Mountain trail system can be accessed from Town of Lloyd’s Berean Park on Reservoir Road. It is a great destination for those looking for a moderate hike or mountain bikers looking for a technical challenge. With trails that ramble through rocky switchbacks, contouring up the ridge to reveal hidden treasures such as wetland habitats, rocky outcroppings and native ferns aplenty; it has been said that this site is not about the destination but the journey itself. It is common to hear the hoots of a great horned owl, the mating call of spring peepers, see coyote tracks on the trail, or discover a tree branches that have been rubbed by a buck deer while on your journey. As visitors of the Town of Lloyd Water Department, please be sure to stay on marked trails and respect watershed areas and water department fixtures. 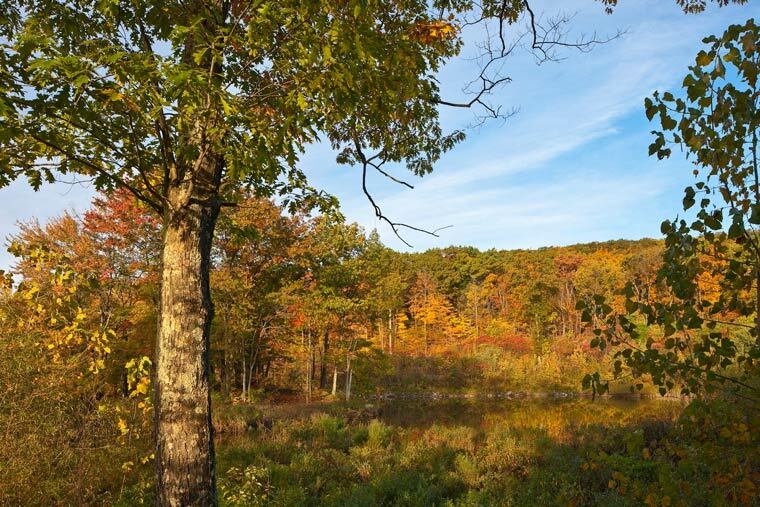 The trails on Illinois Mountain are a collaboration of preserved lands owned by Scenic Hudson and the Town of Lloyd. Please carry out your trash. Year-round daily dawn to dusk. Allow a minimum of 2 hours. PLEASE NOTE: seasonal hunting is permitted on Town of Lloyd property—wear bright-colored clothing during hunting seasons.